If there’s one category of clothing that Who What Wear readers are obsessed with year-round, it’s denim. Sure, ankle boots and swimwear give jeans a run for their money depending on the season, but the sentiment stands that you all are certifiable denim heads. We’re right there with you, which is why we wanted to tap Who What Wear’s own commerce strategist, Alex Flowers, for her insider intel on what denim styles have fallen out of favor, which are still going strong, and the ones that are emerging too. Flowers specializes in knowing what readers are purchasing from our site, so she has an acute knowledge of how trends are living and dying according to what the most stylish girls (aka you) are buying. Read on for her insights and to shop the styles that are perfectly on point this fall. Flowers highlighted two jean trends that Who What Wear readers aren’t buying anymore: coated jeans and flared jeans. Coated jeans are denim treated with a shiny, wax-like treatment for a leather-like effect, and Flowers finds that they aren’t selling as well as they had previously. Similarly, flared jeans aren’t being purchased as much from Who What Wear stories. Shop some of the on-trend jeans Who What Wear readers are buying in droves below. If we’ve learned anything about you, reader, after a decade of writing fashion content tailored to your interests, it’s that you love skinny jeans. At this point, they’re timeless, and fresh updates in the form of a raw hems, distressing, or washes make them new again. The leopard trend has popped up on every type of clothing, but we’re especially partial to the jeans. As illustrated above, they do most of the outfit heavy lifting, so you can fill in the rest of your look with neutral basics. 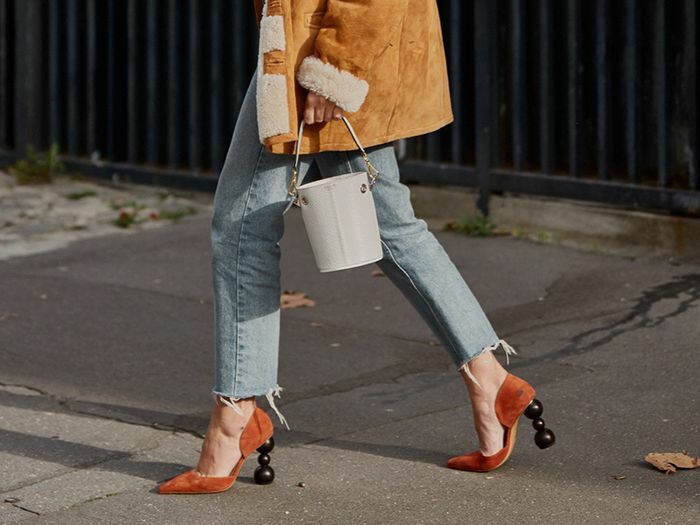 Wide-leg and looser-fitting jeans have been denim underdogs for a while now and are just now becoming massively beloved. If you like to highlight your waist, we definitely recommend a high-waisted cropped pair. Wear them with a cropped sweater for fall perfection. Next up: the surprising designer item that is dropping in sales.